Excellent handbook by award winning author and landlord, Jesse Brewer. Tips, rental advice about renters and rental properties, Jesse gets his message out with humor from a real estate background and unbelievable landlord situations he shares in his book. 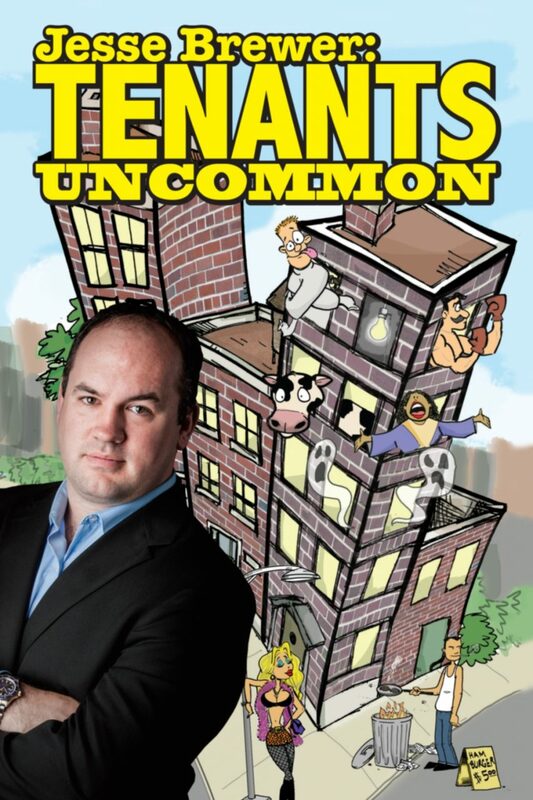 Jesse Brewer writes a handbook for landlords, with humor and real life stories, and whether you are an experienced landlord or a wannabe landlord, Tenants Uncommon is a resource you will keep close! Brewer believes this is the best possible time to be a landlord. Due to the mortgage meltdown and a staggering number of foreclosures, more and more homeowners are opting to rent out their properties rather than sell them at a huge loss. He points out that as a landlord, you won’t spend much time relaxing on your sofa, surfing channels, and accumulating piles of dough. You will work hard for every penny. So be forewarned: your most important duties fall into three simple but time-consuming categories. Jesse Brewer grew up on the east side of Cincinnati, Ohio, and worked for his father in the real estate business. At age 23, Brewer purchased his first single-family cash flow residence. Within four years he had bought and sold forty homes and decided it was time to enter into the real estate investing world full time, leaving behind his job as a police officer. Within a year of making the move to full time real estate, he realized there was a need for quality property management for his own properties as well as the properties he was selling to investors, so he opened Cincy Area Properties to fill this need. Jesse Brewer resides in Northern Kentucky and his company manages over 300 rental units for himself and investors. He also participates either as a broker or a principal in one hundred real estate transactions per year. He has authored four books on real estate investing and land lording and has been featured in real estate investor magazines and other forums. Brewer has a coaching and mentoring practice specializing in coaching real estate investors from acquisitions to renovations to property management. Jesse’s clients include brand new investors and seasoned investors who have a 1,000 plus units and everything in between.